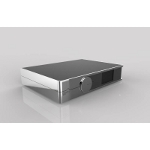 Constellation Audio surprised their friends by displaying the LEO, a complete system which combines a phono preamplifier, a media/CD player, a streamer and two three-way loudspeakers in a single device! 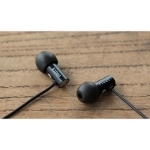 It is compatible with Roon and MQA. Divaldi is a new company from Poland. 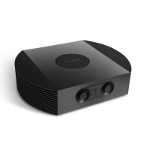 Among the products that caught our attention was the INT-01 integrated amplifier, a dual mono design that delivers 100W per channel, features a built-in DAC (24/192) and includes streaming capabilities. For their 40th anniversary, Dynaudio chose to present the Special Forty, a compact two-way loudspeaker where some of its best solutions have been applied. It features a fully compensated crossover, a new Esotar tweeter, and an MSP woofer. 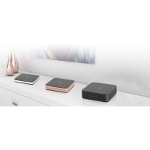 Electrocompaniet highlighted their Eco Living concept, featuring the Rena S-1 streamer, the Rena SA-1 streamer/amplifier combination and the (not yet ready for the market) AV streaming receiver Rena SH-1. 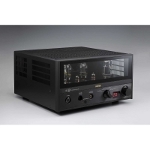 French Electron Research first introduced their integrated IA-70 amplifier, designed by Herve Benichou. The company does not give much detail, but it seems that the amplifier is based on the Interface Micro Discharging (IMD) theory. 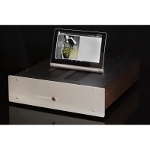 Esoteric has demonstrated the F1's top integrated amplifier, which belongs to the Grandioso range. 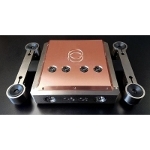 It's an impressive dual mono design with the company's QVCS attenuator and includes a phono preamplifier, a headphone amplifier, and tone controls. A quite interesting idea from Estelon: The new Lynx is a wireless, active loudspeaker that acts as a DSD64 streamer (based on HQPlayer/Roon core) with the digital signal converted into analog by a passive crossover, just before the loudspeaker drivers. These are the new in-ears from Final, named E2000. The company says it has given special attention to the system voicing, while their construction is such as to ensure the best possible fit (with slightly rotating tips). Fink Audio, a very low profile company, presented the final version of their WM-4 loudspeaker. 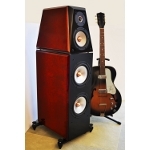 This is a large-volume three-way design with a Mundorf custom ATM tweeter and midrange/woofer drivers manufactured by Fink themselves. 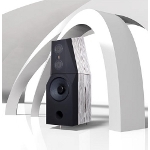 Focal demonstrated, for the first time, two new models in the Utopia III series, launching the Utopia III Evo family. 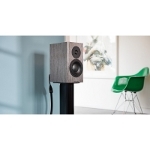 The new three-way loudspeakers are the Maestro and the Scala, with the first one using two 11-inch drivers and the second one 11-inch driver in a smaller box. 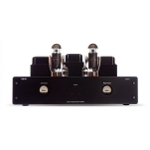 Tube headphone amplifier from Fostex. The HP-V8 is based on E88CC /300B for the amplifier stage and KT88 for the power supply, features single-ended and balanced outputs and is adjustable for load impedance and gain. 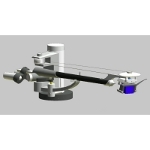 Funk Firm presented the AK-1 tonearm. It's a design with emphasis on reducing resonances thanks to its ceramic arm-tube and minimizing the tracking error by using a mechanism to continuously change the offset angle. 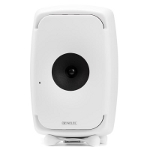 Genelec is best known in Pro Audio circles, but The Ones series, which includes the 8351, 8341 and 8331 models, are of some audiophile interest. 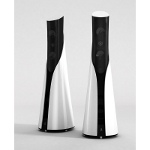 The three-way/active loudspeakers are designed as point sources, based on the company's MDC coaxial driver. 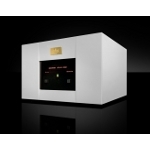 Goldmund introduced new power amplifiers. The company retained their name scheme (Telos 1000, Telos 2500 and Mimesis 22) but added the term NetxGen. 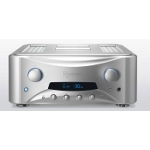 The Mimesis 22H NextGen preamplifier and the integrated amp Telos 590 NextGen were also introduced. 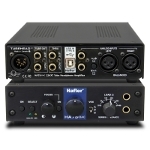 Those who have found the Hafler headphone amplifier an interesting device will be delighted to learn that a new version, the HA75 DAC, now exists including a USB port. The amplifier offers both a tube-based and a solid state output, an adjustable crossfeed circuit, and an impedance selector. 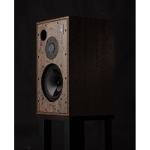 Harbeth presented the anniversary version of the M30 two-way monitor, the M30.2. The loudspeaker has a special eucalyptus finish, WBT terminals and a new protective grille for the tweeter. 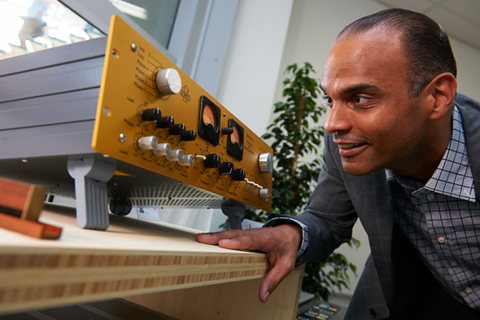 Very interesting news from Ideon Audio. The company demonstrated their new top-of-the-range d/a converter, the Absolute DAC, based on the ESS ES8538PRO chip, including special clocking circuits, and built-in USB conditioner and power filter. 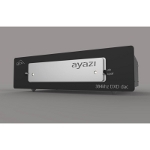 Ideon was, also, displayed a new version of Ayazi, the Ayazi2, a device which includes a number of improvements to the basic model and will have much better performance. In-Akustik's top loudspeaker cable is the LS-4004 AIR and gives a different meaning to the term "air for dielectric". 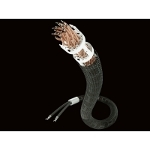 The cable uses 24 double-insulated copper wires that are held in place and spaced apart with the help of 16 wire-guides. Joseph Audio demonstrated the Pearl3, a quite massive three-way floorstander, featuring their well-known Infinite Slope filter topology, which (not unexpectedly) is distinguished by its very large slopes in the crossover region. Frequency response is 25Hz-20kHz (±1dB). 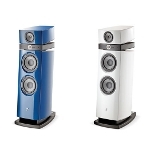 KEF demonstrated the new "Q" loudspeaker series (Q Series 2017, the eighth since 1991). 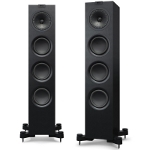 It includes seven models in total, two stand-mounted, three floorstanders one center loudspeaker and one sub and features an improved version of their well-known co-axial Uni-Q array. Kronos Audio officially unveiled their phono preamplifier (Reference Phono) but took the whole design one step further, displaying an integrated (in mechanical and electrical terms) solution, which includes the turntable, the rack and the in a single structure. Lab12 had a strong show presence, displaying a large number of devices. 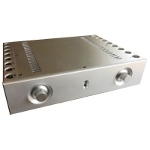 The photo shows the power amplifier Suono, a single ended design based on KT-150 tubes. It delivers 25W per channel. It's not new, but it's interesting: The SuperKomputer is LampizatOr's Lukasz Fikus view of how a proper media player should be. 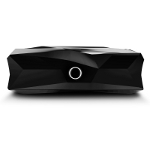 The device features a Linux-optimized computer platform for playback and uses SSDs both for the system and for storage.